Offices have changed in their design and layout over the last half century. From the rows of individual booths of decades gone by to the more open plan settings where people can interact with each other with ease, office spaces has evolved as workplace culture has evolved. But even in open space offices, private areas are still important, which is where office partitions come in handy. 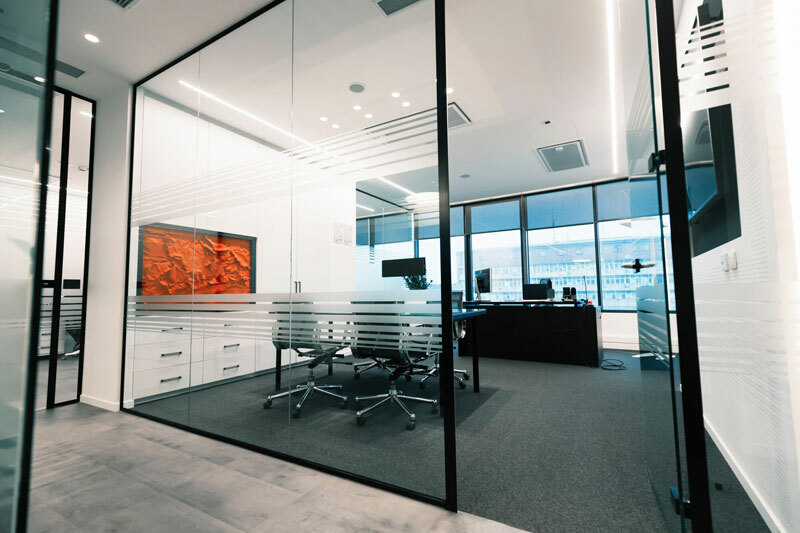 When you want someone experienced in commercial office design in Melbourne who specialises in office partition installation, get in touch with Ultimate Chippy. What are the Benefits of Installing Office Partition Walls? These days, commercial partitions in Melbourne are often favoured over permanent walls because they allow you to rearrange a space according to your needs. If you need extra floor space to accommodate an influx of new employees, reconfiguring the office using partition walls makes the job easier. Office partitions can be made from a wide variety of materials, including glass, metal alloys, plasterboard and even timber materials. Some of these materials provide excellent noise reduction qualities, and when erected can effectively muffle sound travelling from one end of the office to the other. Need a quiet place to chat to a client or another employee? Office partition walls not only keep external sounds out but can also prevent your conversations from being heard outside the enclosed area. Create privacy for those times where you might need a meeting place for clients or somewhere to simply work in peace without distraction. Whether you’re working on a project with a smaller group of employees or you just want somewhere quiet to work in peace, partition walls for offices help to improve productivity by creating spaces for group discussion or working in solitude. Ultimate Chippy can help you increase productivity in your workplace with the installation of modern partition walls. If drab and lifeless barely begins to describe the appearance of your workplace, then office partitions can add a splash of colour to your premises. Even a change as minor as this can lift employees’ spirits, which in turn can help to increase productivity. In an expansive, open plan office, giving directions to a visitor looking for a particular person can be difficult. With partitioning installed, you can create different department areas in the workplace, making it easier to direct visitors to where they need to go. Looking around at office partitions Melbourne wide, you’ll discover there are many different types available. From aluminium glazed partitions with their sleek, stylish finish through to metal stud partition walls intended for long-term installation, Ultimate Chippy can help you choose the right option for your needs. Call one of the leading office and shop fitting companies in Melbourne today to learn more.